Apple has launched the latest version of their Mobile OS, iOS 11 and it comes with some great features. One of the newly introduced features is, Do Not Disturb While Driving, for example, mute’s notifications when your iPhone thinks you’re moving. It’ll auto-reply to your texts, too, which is a welcome feature after other companies, like Samsung, introduced a similar product. The whole App Store is undergoing a redesign, as well, so that’s cool. Today in this article, we are going to talk about the 5 great features which will help you enjoy your device. This could be huge. Users can pay someone via an iMessage or tell Siri to pay someone by using a credit or debit card that’s stored in their Wallet. Once they’re paid, this money goes into an Apple Pay Cash account and can be sent to other people or used to buy something in stores through Apple Pay. It can also be transferred to a bank account. Now, your friends have to be on iOS for this to work, so it doesn’t have the exact appeal of Venmo or Square Cash, but still, the idea of sending money through Messages instead of a third-party app is appealing. I imagine some people likely won’t switch, simply because they’ve already set up a solid network on Venmo and have a workflow. For those who haven’t, or don’t like the social network part of that service, this is a nice opportunity to try something else. Siri will be able to translate English words and phrases into Chinese, French, German, Italian, or Spanish. Apple demoed this functionality during its keynote. Google Assistant already does this, so while Apple’s playing catch-up with this feature, it’s still nice to have. We don’t know how well it works, but the idea of going to China and having Siri translate a phrase for me is great, especially if I don’t have to navigate to the Google Assistant app and can instead access Siri straight from my home button. 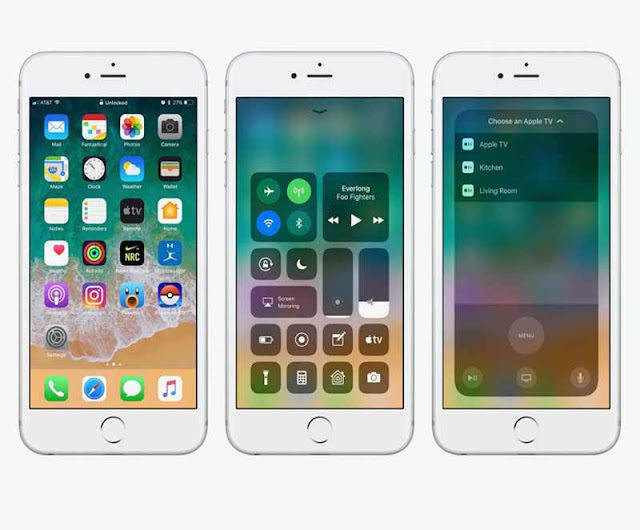 iOS 11 will launch with the option to automatically delete apps you never use a feature called Offload Unused Apps. Basically, when you’re running low on storage, the feature will get rid of apps you infrequently use while retaining related documents and data so you can always get the app back. A tap on the app’s grayed-out icon will restore it. Owners of 16GB iPhones can celebrate this, although if you’re using a ton of apps, I’m not sure how much it’ll really help storage issues. The new Control Center is getting a lot of flack for how overwhelming it could potentially look, but I’m psyched to have everything in one place. You can customize the control screen to your needs, like having an Apple TV widget or stopwatch access. This is slightly reminiscent of Android, and will probably be useful so long as you don’t go too crazy with shortcuts and basically turn it into a second home screen. The iPad is going to act a lot more like a Mac. With iOS 11, we’ll be able to customize our docks with apps we use most frequently. Plus, we can multitask with up to three apps running at once, side by side. A new Files app will also let users store data locally and access it straight from the device, just like a Mac. The Verge’s Vlad Savov pointed out this week that the iPad is increasingly becoming a device that could replace a computer. This is welcome news, especially for people who might be using their iPad at work.